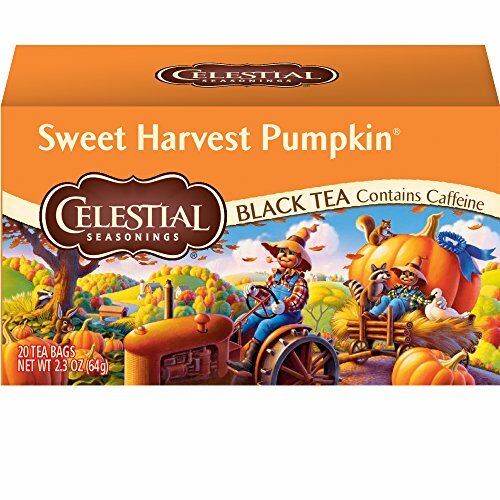 A delicious tea that will take you from Halloween, to Thanksgiving, through Christmas, and on through the cold winter months! Here is a wonderful tea that will take you right through the Holiday season and all of the cold winter months for those of us who live in cold parts of the United States or World. You can curl up with a favorite book by the fire and enjoy a cup anytime, or serve it at your holiday gatherings of family and friends. Below you'll find a recipe, some nice ways to serve the tea, whether you prefer to blend your own spices, or have your tea prepared for you. Enjoy your visit, and then enjoy a nice cup of Pumpkin Spice Tea. Pumpkin Spice Tea means different things to different people. It can mean a tea made from the spices you would put into pumpkin pie alone, or it can mean it literally has the taste of Pumpkin in it…either way, you’ll find what you need below. 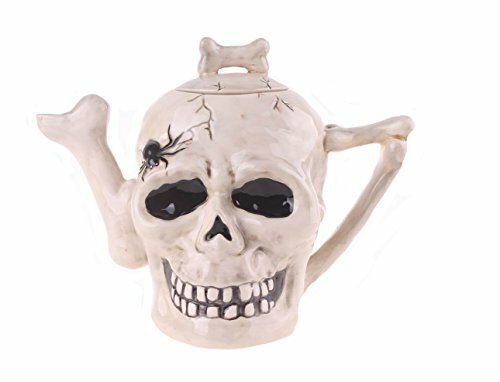 You won’t be carving a pumpkin and removing what is inside to make this tea, though that could be fun. You will be combining ingredients that can be purchased, or for those in more exotic places, grown. Most of them may be in your spice rack or kitchen cabinet right now. Recently from the list above I combined powdered Cinnamon, powdered Cloves, and a bit of powdered Ginger and put it in a spice jar...it was less expensive than buying prepared Pumpkin Spice. Pumpkin Butter – If you choose to have the flavor of actual pumpkin in your Pumpkin Spice Tea, and not just the spices alone, the pumpkin flavor in your tea is going to come from Pumpkin Butter. This is a seasonal product, you may be able to find it in your food store, or at a Trader Joe’s. It is also available online, and may be available online at times when you can’t find it in the store. You’ll find a few online options here. Tip 1: Look at the flavors in the pumpkin butter that you buy. What spices does it already contain? What sweeteners does it contain? This will affect how much additional sweetness or spice you may want to add. Tip 2: If you already have a combination of spices that you typically use when making your own Pumpkin Pie, try using them as ingredients for your spice tea. You may hit on the right flavor from the start, or it may take some adjusting of the spices to suit your personal taste. If you go to your spice rack or cabinet and find that all you have are whole Cloves, or you only have Cinnamon Sticks or chips, then you may be able to grind or powder them yourself. 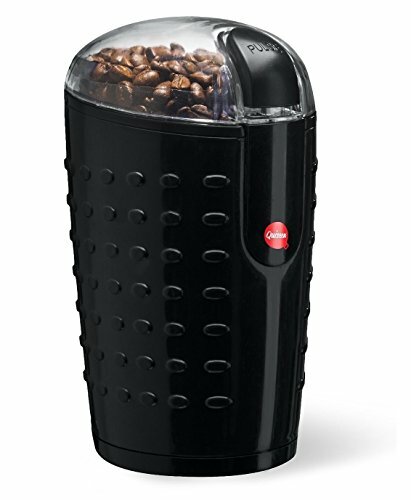 We always have a coffee grinder around even though we do not grind our own coffee. It is useful for other things, including grinding whole spices. Just put the whole spice in the grinder, separately or together depending upon how you intend to use it, and grind until you have a fine powder. If you have to measure the spices for the recipe you are using them in, I would recommend grinding separately. It is really quite simple, it’s not an exact science, but of personal taste. If you have purchased prepared spices, all you have to do is combine the spices in your tea ball, or coffee filter sealed with string, and put it into your teapot of water that has been brought to a rolling boil and then removed from heat. Here are more detailed instructions for you. 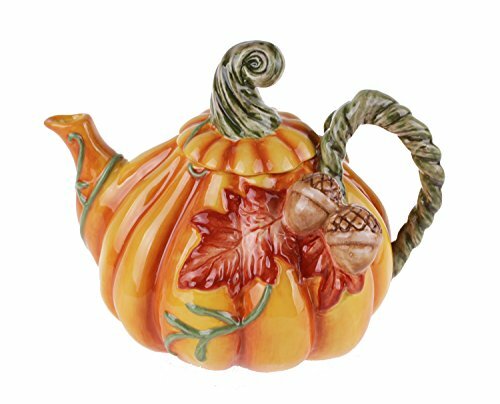 If you bake your own pumpkin pie, and have spices you like for your pies, take the same combination and put in your tea ball and brew as described above for a pot, or adjust to smaller quantity if you are just brewing a cup. If you are using the spices in the “ingredients” section above, start out with equal parts of the Cinnamon, Nutmeg and Allspice, plus a couple whole cloves, and if you use the Ginger and Orange Zest, 1/2 a “part” of each. If you use any of the ingredients in the “possible additions” section above, put them in after you have removed your tea ball…to taste. You may think me lazy not to tell you EXACTLY how much to add, or not to add, but I’m not…the biggest factor here is how strong you want the spices to be, and everyone’s taste is different. Tip 1: The courser the spices are that you use in your tea, the longer it will need to steep. 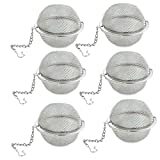 Tip 2: It’s very likely that if you are making one cup of tea, you may be able to get another cup of tea out of the same “already used” tea ball if you use it again soon enough. If you want to have pumpkin flavor in your tea, this is where you add your Pumpkin Butter, start with a teaspoon full and stir it into the hot water along with your tea ball full of spices. Test the flavor and add more if you like. You’ll find your “perfect” amount of spice and pumpkin, I promise, and this can become a nice treat during the holiday season, right from October through December….and beyond if you really learn to love it! 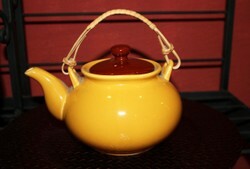 Black Tea can be flavored by adding pumpkin spices. You can use the spices mentioned above in a tea ball in your black tea, or purchase it prepared. 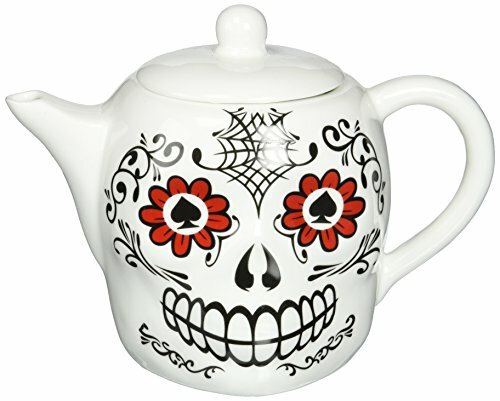 What Holiday are you making your Spiced Tea for? Just to enjoy on a cold Winter day! I hope you enjoy your tea, whenever you decide to drink it! Guestbook: Say hello or ask a question, I'm happy to help! @DerdriuMarriner I'm glad that you are enjoying it! I am sorry for the delay in my reply...but I am replying when the pumpkin spice season is upon us! Enjoy. happynutritionist, Thank you for the recipe. It's delicious as hot tea. I keep the recipe handy for year-round use since it's good as cold tea during hot summers such as this year and last. @MBC It is delicious, isn't it? Glad you have had the pleasure of enjoying it! I am delayed in responding due to the busy holiday season and my Mom had a fall, but she is doing well. Thanks for your visit. I love pumpkin spice tea! Pumpkins are so versatile, can't get enough of them. I just recently discovered a pumpkin soup and it is sensational! Thanks for the recipe. I suppose a pinch of anise in the mix couldn't hurt? Or maybe some powdered chili to make it really hot? I hope you enjoy it! The real chill has yet to come here, amazingly. It has been such a mild fall for us in the Northeast. Wonderful recipe for pumpkin spiced tea. I'll make it tomorrow morning to take the chill off!